What happened is that a woman named Sally was rendered physically delibitated by a terrible genetic brain injury which limited the use of her entire body below her neck. She required 24/7 attendant care for all of her activities of daily living. Before the injury, she was completely functional and completely independant. As a matter of fact, she was a contenstant on Jeopardy believe it or not. 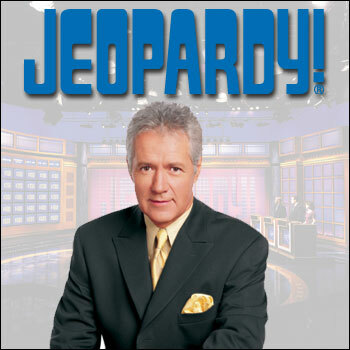 Side note: The lawyers at Goldfinger Injury Lawyers have weekly Jeopardy tournaments. Take a guess who the winner is. You’d be surprised! Sally volunteered her body to science. She allowed doctors to insert metal/steel electrodes into her brain. She volunteered for brain surgery! Who does that! Think about it! Volunteering for brain surgery?!?! After the procedure, she was left with giant electrodes protruding from the crown of her head and out of her hair. There was basically a giant metal plug sticking out of her head. She had tremendous headaches following the surgery. What doctors did was hooked the electrodes on Sally’s head into a large computer. The computer was attacked to a robotic arm which detected signals from the brain. Then, Sally using her brain waves alone was able to operate the robotic arm. She could pick up objects, shakes somebody’s hand, move her arm up and down, side to side and any which way she wanted. It was incredible. The research done on Sally will go a long way for accident victims, particularly amputees, parapeligics, spinal cord injury victims and brain injury accident victims. Instead of not having the use of your limbs, it’s becoming more of a possibilty that you might be able to operate a robotic arm to help you with your daily life. Science has certainly come a long way towards unlocking the mystery of the brain, and how it operates. One of the most interesting comments on the 60 Minutes piece was a quote from a scientist. He said that the brain is remarkably adaptable. Because a part of the brain which might have controlled bodily functions or executive functions before a traumatic accident is no longer working; it means that other parts of the brain which had no involvement in these functions before will likely adapt and take them on. Basically, the brain is so smart (pardon the pun), that it can transfer tasks from the injured part of the the brain the active part of the brain. That active part of the brain can learn to complete those tasks even though it had never done them before. The active part of the brain is not only able to learn those new tasks, but it can multi-task and preform the tasks which it had always done. This is simply remarkable and left the neuroscientists and neurologists in awe of the brain’s amazing power to adapt and react to the situation. The technology for the robotic limbs following a traumatic injury remains expensive, but as technology progresses and as we learn more about the brain, this technology becomes more and more affordable. I’m not certain when it will come to Toronto, but when it does, you can be certain that injury lawyers across Ontario will be pushing for insurers to make this technology available to their clients in order to make their daily lives that much easier. It’s amazing at how far we’ve come in such a short period of time. My last comment will regard Toronto’s basketball team. I’m proud at the way they’re representing the City of Toronto, and I hope that they continue to perform. But, I want to warn all basketball fans of the dangers of relying too much on your bench. It’s great in the regular season facing teams coming off back to backs that have tired legs. But come playoff time (yes I said playoffs), it’s the stars that shine and the stars who get the calls. When Toronto won the Atlantic and lost the New Jersey, it was NJ’s 3 stars (Deron Williams, Richard Jefferson and Vince Carter) who beat the depth of Toronto’s bench. Do you really think that Alan Anderson (bless him) is going to get the benefit of a call over Carmelo Anthony? Keep up the good work and trade Primo Pasta Pronto!